ePub format is in essence a zip of HTML web files. Simple enough. I just randomly "discovered" that Edge can read ePub, quite well. "Microsoft is going to be unveiling their first large scale digital bookstore sometime in the next few months. They are going to be populating it with over one million titles and will have a dedicated editorial staff to curate seasonal themes. 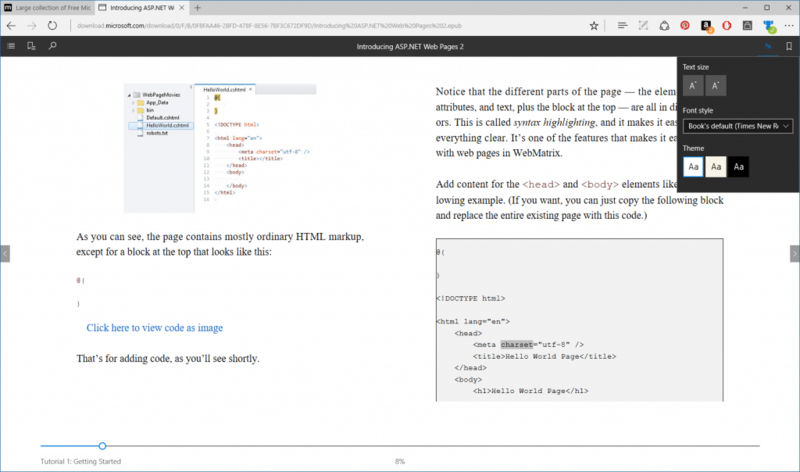 Instead of developing an e-reading app, Microsoft is going to upgrade the EDGE internet browser with full support for EPUB." Azure push for PaaS suggest that enterprises prefer using services than managing IaaS.